Goran Veljic is well-known around town as the “New York City Hall Wedding Photographer“. Before founding NY 1 Minute Weddings, Goran was at New York City Hall as an on-site wedding photographer helping couples from around the world get married in NYC. He has been featured multiple times in the NY Times and other media sources. 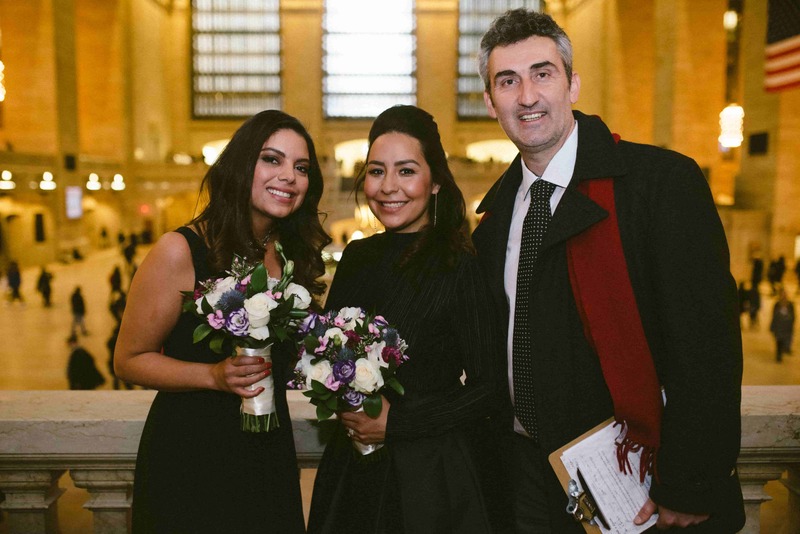 His constant smile and positive attitude have contributed so much to the NY City Hall wedding atmosphere. With extensive knowledge of New York City Hall and how to get married in New York City, Goran knows how it all works. He set up NY 1 Minute wedding and now offers all-inclusive wedding and elopement packages. But on some days, he continues to enjoy being a wedding photographer at NY City Hall doing what he loves the most. Therefore, when you hire NY 1 Minute weddings, you get the best in experience, quality, and price. When asked what he loves about being a wedding photographer at NY City Hall, Goran says that he loves the diversity of the people that come to New York City to get married. He constantly meets couples from all over the world who choose NYC as their destination wedding location. The energy of City Hall is like no other place. You made a great decision in hiring a professional city hall wedding photographer. You’ll receive your photos quickly with our fast turn-around service. New York City Hall is an easy place to get married and a fun place to take photographs. You made the right choice with NY 1 Minute Weddings. We are available for last minute city hall wedding photography. Just give us a call or book online. Thank you for choosing NY 1 Minute Weddings for all of your NYC elopement and wedding services.